This single storey villa in a small group is conveniently located near the historic Bayswater Village. Only 600m to the train station - soon undergoing a huge upgrade which will include Forrestfield Link and Ellenbrook Link. Schools and village shops are nearby; including banks, grocery store, chemist and cafes. Bayswater is undergoing a massive upgrade and will be THE next big 'In-Demand' suburb. Potential to upgrade fittings and profit from this fantastic growth suburb. This villa is located in a sought after street with easy access to transport, parks, popular social activities - tennis club, bowls club, halls and shops. It ticks all the boxes for near village living. 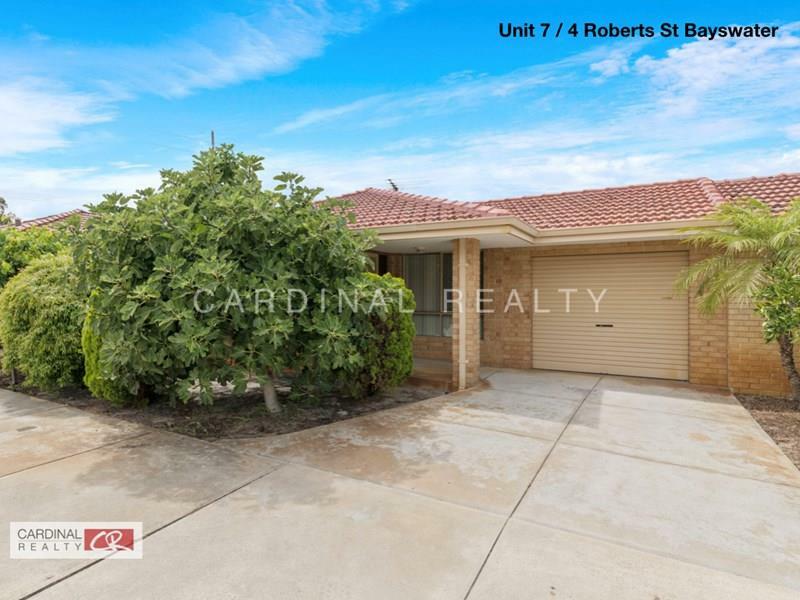 Don't hesitate to view this property soon and have the opportunity to get into a much sought after suburb. Great for investors, or owner-occupiers - first home buyers, empty nesters or retirees. Call me to make a time to view without delay.